Well, I doubt he’d stay immortal for long these days, that’s a murderous road that cuts through Glenfinnan, one that tourists have to cross to see the Glenfinnan Monument on the shores of Loch Shiel. Most people will be here for the historical site. This is where Prince Charles Edward Stuart or Bonnie Prince Charlie, the Young Pretender, rallied his forces and raised his battle standard signalling the beginning of the Jacobite Uprising in 1745. He made a march to London getting as far as Derby (if you’ve been to Derby you’d understand why he turned back, we live 9 miles away and never go there – apart from the excellent Derby Museum) before turning back to Scotland and a final disastrous defeat at the Battle of Culloden. Forget any romantic visions of dying in glory with cannon shot, musket and bayonet cutting down nearly 2000 Highlanders. Not so Bonnie Prince Charlie then fled, eventually dying in Rome. The Glenfinnan Monument marks the spot where he raised his standard with a column of a Highland clansman in full battle dress. A walk past the visitor centre up the hill marks a great photo capture and a glimpse of the Glenfinnan Viaduct where the Jacobite Steam Train, or Hogwarts Express for Harry Potter fans, makes it way into the moody west highland countryside. 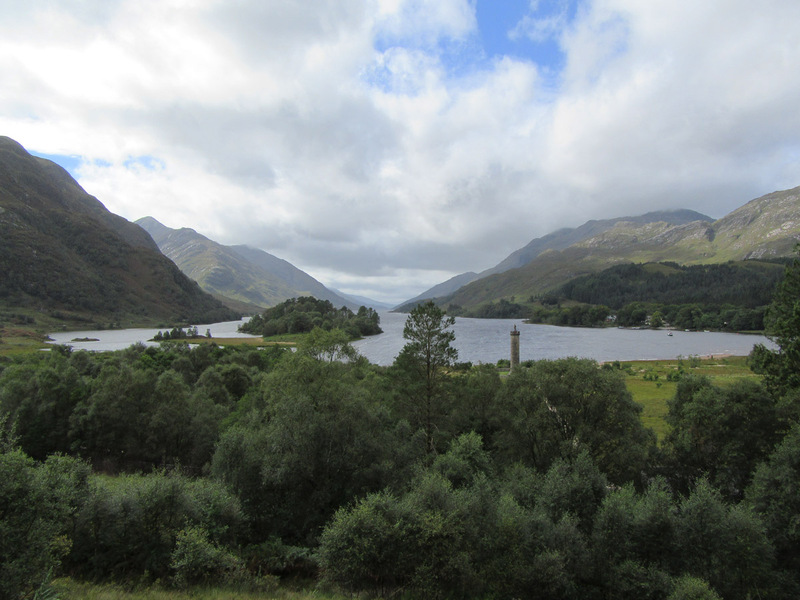 Past Glenfinnan feels very much a different part of Scotland, more remote, more relaxing and certainly less people. A superb coast of stunning silver sands and see through seas on the alternative coastal route from Arisaig to Morar. First up is Traigh beach. 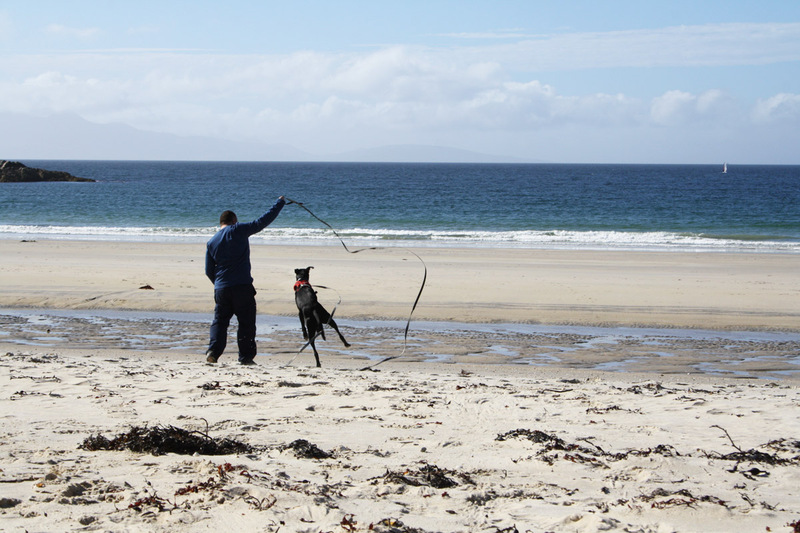 It is deserted with alcoves of pristine private beaches and the perfect opportunity to try out DogCam. Despite what you might be thinking about a couple walking their dog in a deserted spot with a few visitors passing by, this is actually a Go Pro strapped to McDog’s back as he scrabbles in the sand, snorts seaweed and slogs over seashells. The silver sands of Morar beach are world famous and none more so than the stretch of sand at Camusdarach where the beach scenes for Local Hero and Highlander were filmed. The coastline from Glenfinnan to Morar is a great unspoiled spot and should be on your list of must see in Scotland.